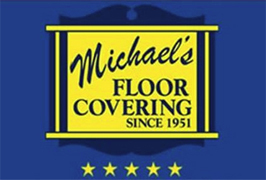 Welcome to Michael's Floor Covering! We are an award winning, locally owned, family business that has been trusted for over 60 years to deliver excellence. laminate, hardwood, luxury vinyl tile/plank (LVT/LVP), luxury sheet vinyl, and beautiful area rugs in our newly expanded showroom! We are excited to offer the most beautiful carpet from Fabrica, Karastan, Masland, Shaw, and Mohawk in residential and commercial styles. You may also choose from an exceptional selection of hardwoods from Preverco and Anderson. Be amazed at the look and comfort of our luxury vinyl, available in planks or tiles. Or, let us beautify your home with porcelain or ceramic! Stop in our beautiful store, or if you prefer, you may shop at home by completing the contact info. We will call you, find out what you're looking for and bring it to you. We will measure and provide you an estimate - all for free. Please take a few moments to read our customer reviews! Let us help you--let's make it beautiful! At Michael's Floor Covering we believe that it should be all about you. Our main goal is to do everything possible to make you satisfied. 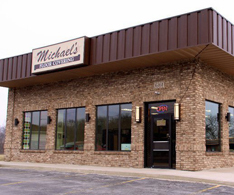 Michael's Floor Covering carries a complete line of products from the world's leading manufacturers. Click on the links below to find out more about these products.